Easily mount an alternator in place of your factory generator. Are you tired of the low output of your OEM generator? 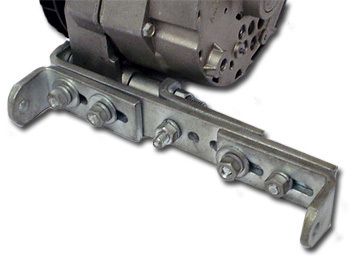 Make the switch easy with this fully adjustable bracket. The two ears will bolt on to your existing OE generator bracket or block just like your original generators ears and then you can install your choice of numerous Ford and GM alternators available. Check out our 1-wire offerings or 6 volt alternators available in this store. This bracket will make it easy to get the proper belt alignment. Alternator not included. Also see our wide groove pulleys available for older model vehicles.